I kind of have a massive full blown love for interior design. Homeware hauls are amongst my favourite videos to watch on Youtube, as are room tours. Oh and don't even get me started on Pinterest! One of the places that seems to be pretty popular for homeware is H&M and not having a store nearby, I headed straight to their online store to see what's good! Glass isn't something I'm particularly into when it comes to homeware but there was just something about what H&M had to offer! You could put rings or even sweets (I'm going with sweets) in the sundae bowl and maybe even recreate Beauty & The Beast with that bell jar! I'm a sucker for cute little bowls and pots for putting nick nacks in and H&M do a great selection. The soap dispenser is gorgeous too - I feel like you've got your life together if you use a soap dispenser! I love the style of these photo frames. Of course you could put photos in them but I think it's a cute idea to stuff cinema/concert tickets in to keep those memories. I can't resist a decorative birdcage and how adorable is that cactus candle?! 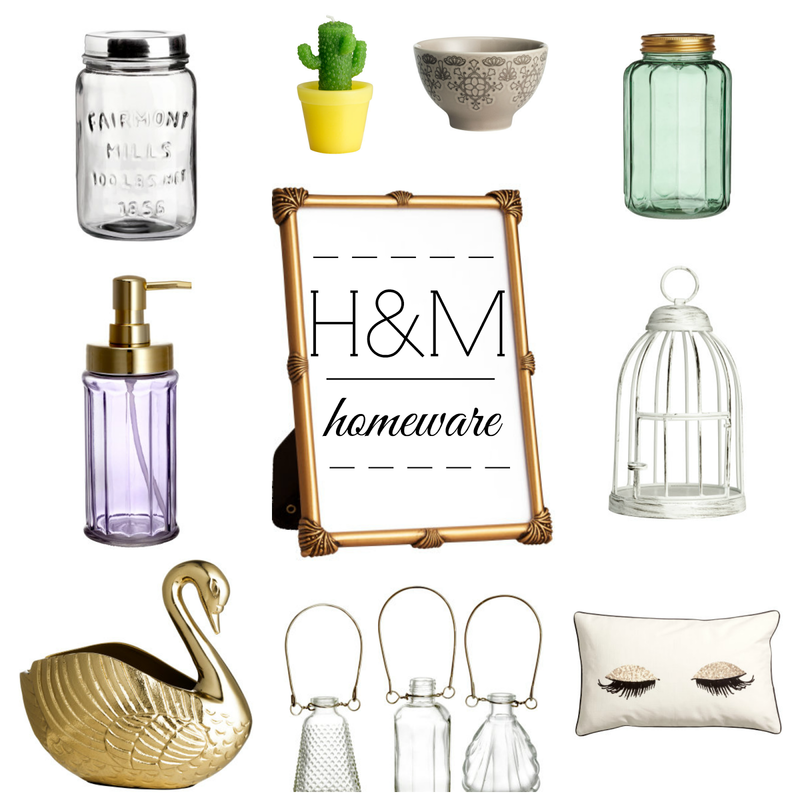 So there you have it, a few picks I've found while browsing the H&M Home site and love! Get involved in the comments section below and let me know which is your favourite item here! Where you do buy homeware?